The jeans by Replika have a very sporty and comfortable cut. The simple and straight cut as well as the loose leg length offer a lot of freedom to move without tighten and pinch. Due to the flattering legs the trousers are easy to get dressed or undressed. An awesome embroidery on the right pocket offers an eye-catcher. 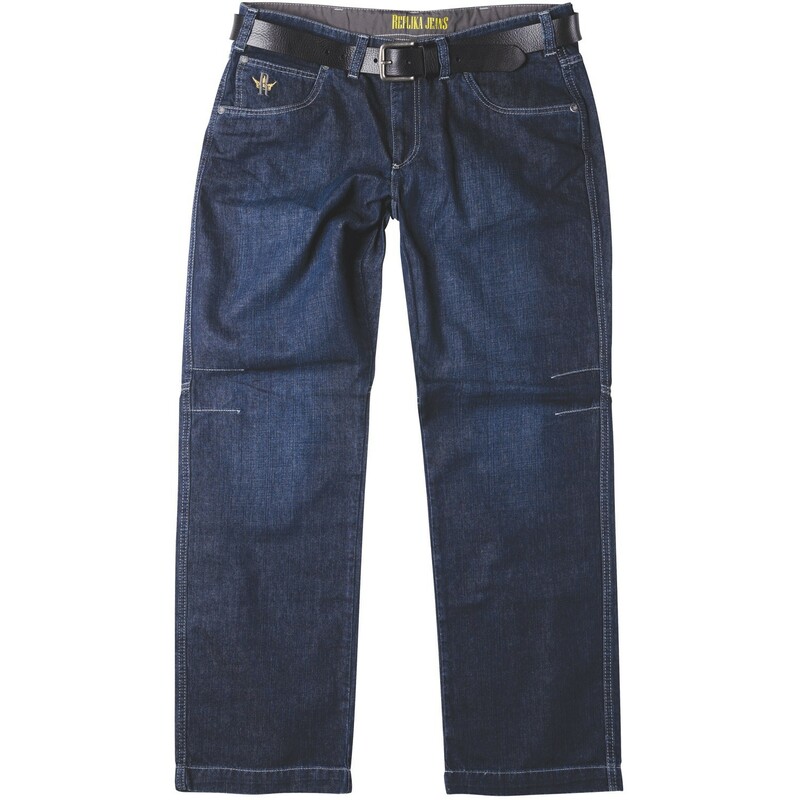 The jeans is very durable because of the material (100% cotton). The trousers are otainable in different sizes. They are available between 40 - 70. Material: 100% cotton, care: machine washable.